If you live in a period home and you want to redecorate the home in a traditional style, it is important to consider how you will dress the windows. After all, most traditional homes have beautifully dressed windows. Of course, there are a few different dressing ideas; you could decide to draw attention to the windows with colour, or you could attempt to disguise them with fabrics. The choice is yours! Here are six window dressing ideas for period homes. If you want to draw attention to the windows, consider painting the frame in an eye-catching colour. Alternatively, you could buy bright curtains or blinds to draw people’s eyes to the windows. If the room is fairly dark and you want to bring the light in, consider using sheer curtains. It is possible to buy chiffon or linen curtains that will allow light through, and both fabrics are fairly traditional and vintage. If you do decide to do this, make sure that the curtains are hung so that you can easily pull them back to the wall when the sun is shining. 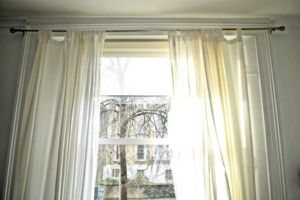 It is also possible to replace small windows with larger windows like those at Dublin windows and doors manufacturers such as http://www.keanewindows.ie/) that allow light into the room. This can make the room appear larger and brighter, which is ideal for living rooms and kitchens. If you want to create a vintage style in your home, after all, lots of people prefer traditional styles to modern, consider investing in curtains that come with a large print. If you have a front facing window you may want to add a little privacy with frosted glass. This means that the room will still be filled with warm, natural light, but you don’t have to worry about your neighbours peeking in whenever they walk past. If you want to create a traditional feel in your living room, consider investing in velvet curtains. This will add a fashionable, luxurious vibe to the room, and it will be in keeping with the traditional style. If you have large bedroom windows you can invest in shutters to completely shut out the light.